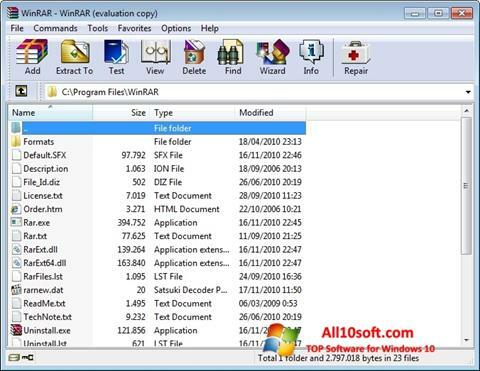 WinRAR for Windows 10 - a program for data compression with support for various compression methods. The utility is capable of creating self-extracting exe files, encrypted and password archives from several parts, includes the ability to add comments, diagnose and choose the method of archiving. The application has its own file manager, integrates into the Explorer menu and allows you to perform most operations using hotkeys. The utility can compress data in the background, supports the addition of ready-made archives and the creation of user profiles with data compression settings. You can free download WinRAR official latest version for Windows 10 in English.